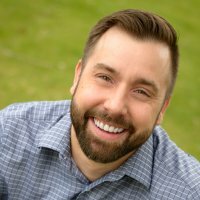 Speaker: Lukus Counterman - In many of Paul’s epistles, he breaks the letter down into two parts – the first, focuses on doctrine, and the second, focuses on practice. He seems to indicate that knowing should lead to doing. In the context of Ephesians, the revealed mystery of the church should have practical ramifications for our lives. If God is uniting Jews and Gentiles under Christ and forming a new entity called the church, then how are we supposed walk or conduct ourselves? That is the driving question Paul is addressing in Ephesians 4:1-16. Paul explains that the limbs of the body need to be united in the work of the ministry, the supporting ligaments of Bible teachers need to train believers to serve and use their gifts, and the head of the body, Christ directs us all through his word. And as this takes place believers live out their identity and grow in maturity. May the Lord help us to pursue unity in the church. Speaker: Lukus Counterman - Have you ever seen before and after pictures? Maybe with a home remodel, dental work, a new hairstyle, or some diet – the contrast is somewhat shocking and the change is evident. 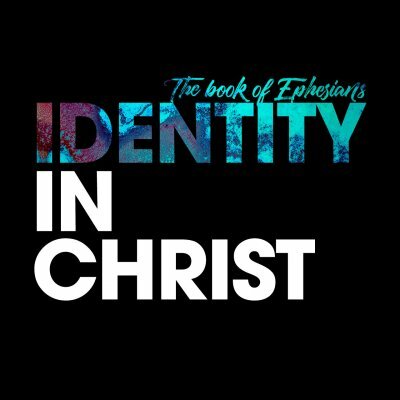 As we look into the second chapter of Ephesians, it is difficult to conger up a set of sharper contrasts than those Paul puts forth in Ephesians 2:1-10. He shows the before and after of our spiritual lives – from death to life, from the sentence of God’s wrath to an experience of overflowing love, from a life ruled by various forces of evil to a life sustained by the grace of God. Paul wants believers to understand their new identity in Christ and how the gracious application of resurrection power makes all the difference. 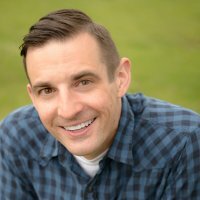 Speaker: Josh MacAvoy - Ephesians 1 is a densely packed chapter, full of deep theology (or "what we know about God"). In just 12 verse, Paul covers matters of the trinity, spiritual adoption, redemption through Christ Jesus, the inheritance of the saints, and the Holy Spirit given to guarantee God's promise. There is so much to sentence in the Bible. And right after all that teaching, Paul explains how he has been praying. He asks for the Holy Spirit to help Christians apply all of that knowledge to their everyday living. Paul knew that accurate knowledge was essential, but it never should stay as information alone. It needs to be acted on. He prays that the Ephesian believers experience increased spiritual discernment through the Holy Spirit and be more skillful at applying God's Word to their everyday situation. Speaker: Lukus Counterman - When it came to missionary endeavors, Paul was strategic, persistent, and prayerful. He had target locations and intentional objectives in his ministry of the gospel. The apostle focused on cities - epicenters of culture and influence. His pattern indicates that when the gospel takes root in places of commerce, education, and politics, it eventually spreads to the surrounding areas. Cities are not the only places for missionary work, but they are strategic places. Roland Allan, a missiologist and author of Missionary Methods, suggests that “All the cities or towns in which Paul planted churches were centers of Roman administration, Greek civilization, Jewish influence, or some commercial importance." That was true of Athens, Rome, Corinth, and Ephesus. And as we consider city ministry today, may God help us understand how to reach our context and see the Word increase and prevail mightily in urban populations to the praise of his glory. Speaker: Lukus Counterman - The Holy Spirit imparts spiritual blessings to believers, marking them as belonging to God and assuring them of their future with him. That is what we discover in Ephesians 1:11-14, the final segment in Paul’s overflowing Trinitarian praise. He has exalted the Father as the planner and initiator of redemption. He has praised the Son as the central figure and securer of redemption. And now, Paul highlights the Holy Spirit as the agent who bestows the blessings of redemption and seals believers to final day of redemption. May all our praise be directed to God for his glorious grace in salvation. Speaker: Lukus Counterman - Ephesians 1 is a run-on sentence of overflowing trinitarian praise. The Father is praised for his electing work in salvation. The Son is praised for his redeeming work in salvation, and the Spirit is praised for his sealing work in salvation. Paul is in awe and wonder at the glorious grace of God. He is captivated and confounded as he considers the spiritual blessings of the past, present and future. In Ephesians 1:7-10, the focus of the text is on the glorious work of the Son. He has redeemed enslaved sinners. He has forgiven all our transgressions. And he is uniting all things in heaven and on earth to the praise of his glory. May the Lord give us the emotional response of praise in response to the abundant outpouring of his grace.